Warren Buffett made a bet that a passive S&P 500 index fund would outperform a basket of hedge funds over a 10-year period, and it concluded at the end of 2017. Not only did Buffett's pick outperform the hedge funds it was up against, but it did so handily. Here's the final result of Buffett's bet on passive investing, and why Buffett prefers index funds to actively managed investments. In 2007, Warren Buffett made a bet against hedge-fund manager Ted Seides that a simple S&P 500 index fund would outperform a basket of at least five hedge funds over the course of a decade. The bet's time frame started in January 2008 and concluded at the end of 2017. It's now official -- Buffett is the winner, and by a large margin. In fact, Seides had already conceded the bet earlier in 2017, due to the huge disparity in performance between his basket of hedge funds and Buffett's S&P 500 index fund. After all, through the end of 2016, the S&P 500 index fund had gained more than 85%, while the average of Seides' five baskets of funds was just 22%. Even the best performer of the five gained just 62.8% -- not one of the five baskets of hedge funds was able to beat a passive S&P 500 index fund. Things didn't get any better for the hedge-fund portfolio throughout the rest of 2017. The final results were a 7.1% annualized gain for the S&P 500 index fund (about 99% overall return) versus just 2.2% annualized (about 24% total) for the basket of funds Seides had selected. Buffett had pledged to give any proceeds from the bet to charity, and he selected Girls Inc. of Omaha. 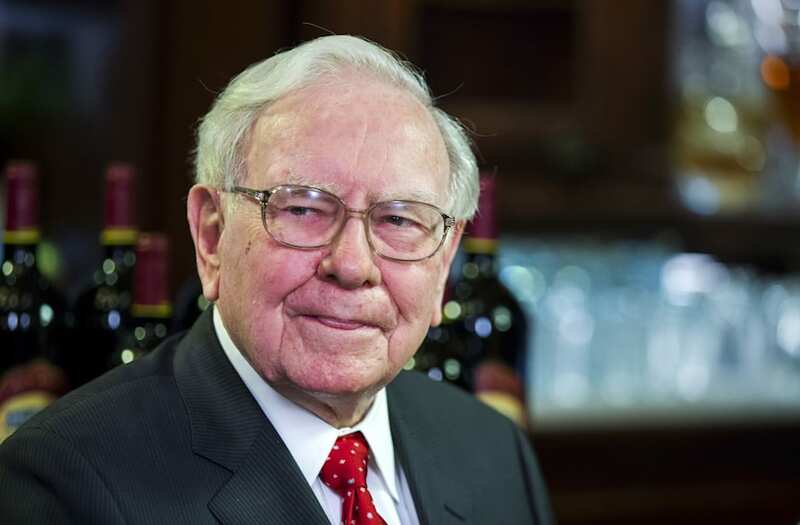 The funds from the bet were invested in Berkshire Hathaway(NYSE: BRK-B) stock, which has done quite well, so the original bet amount has grown significantly. In fact, the 11,200 class B shares in the pot are worth more than $2.2 million. It may seem odd that someone who has built his reputation (and an enormous fortune) on his ability to pick winning investments would bet on a basic S&P 500 index fund. However, Buffett's logic certainly makes sense. First of all, Buffett is not suggesting that all investors should go sell their stock holdings and buy passive index funds. Buffett doesn't necessarily have anything against stock picking if you have the time, knowledge, desire, and discipline to do it properly. However, the majority of people don't, which is why Buffett has said that index funds are the best investment most Americans can make. Buffett's issue isn't with individual stocks. Rather, it's with y, particularly those that charge high fees, like hedge funds. Buffett acknowledges that in any given year, some fund managers will certainly beat the market. On the other hand, some will lose to the market. And since all of these funds charge fees, investors are at an inherent disadvantage, especially over the long run. In fairness, Buffett was helped tremendously by the fact that during most of the bet, one of the longest bull markets in history had been playing out. Hedge funds are better suited to outperform the market during tough times. After all, their name comes from their ability to employ hedging strategies, one of their key advantages over passive index funds, and one that matters far less when stocks seem to do nothing but rise. And hedge-fund fees can be dramatically lower when the market is declining. The standard hedge-fund fee structure is 2% of assets and 20% of gains each year, so the latter part doesn't come into play in down years. This is illustrated by the bet's outcome over its first year, 2008. Buffett's S&P 500 index fund lost 37%, while the hedge fund portfolio only lost 23.9%. Still, Buffett's logic holds true in any market. Some funds will win, some funds will lose, but the fee structure puts investors at an inherent disadvantage. It's also worth pointing out that the market historically has had far more positive than negative years -- over the past 50 years, the S&P 500 has produced a negative total return just 10 times -- so the hedging "advantage" doesn't come into play too often. Bank of America Has Bought Back 290 Million Shares So Far in 2017. Should Investors Be Happy?